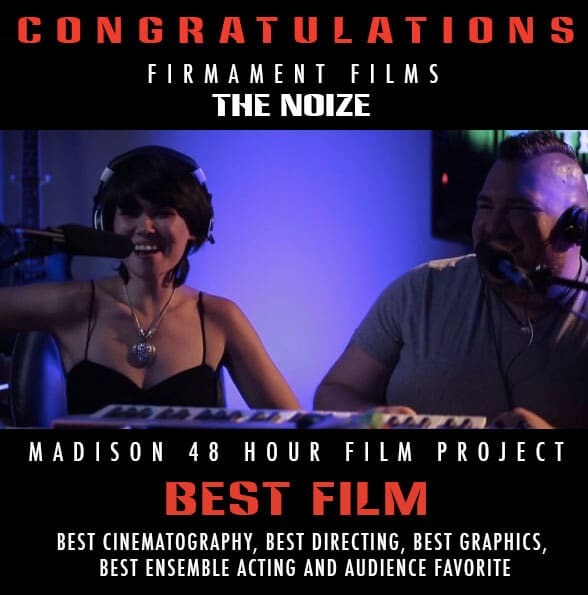 48hr Film ‘The Noize’ huge team win! UPDATE 1: Check out the behind-the-scenes below! 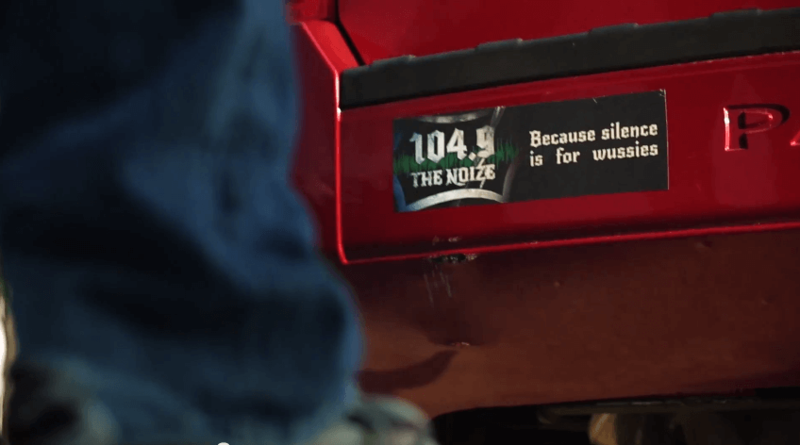 We had to have one of these to help the presence of the radio station. The billboard was actually a super fun 3d composite to work on. The drawing was created by Candace Ostler (The Goose) and I took the previous logo work done for the radio station shot and mashed them together to create this billboard. I masked out the rest of the billboard, tracked it to the right space, and added color correction and texture to finish the effect. 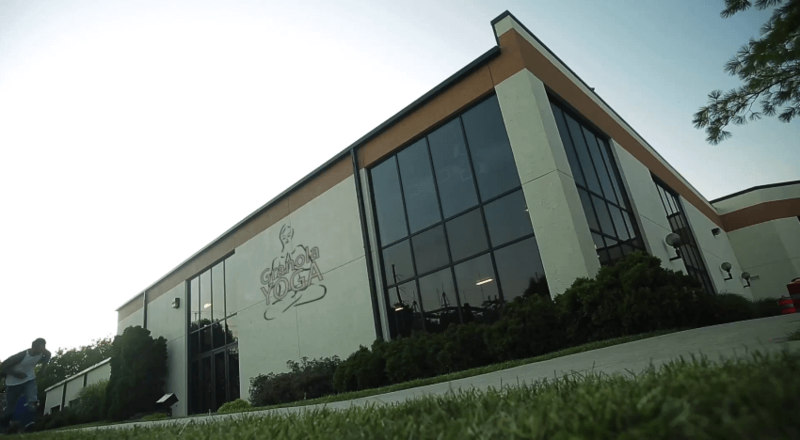 We shot this scene at the Prairie Athletic Club in Sun Prairie and we needed a Yoga sign instead. John painted out the old sign and I constructed the new logo and tracked it into the space. This was actually the first graphic we created for the shoot. Two hours after we got our genre I was rendering this graphic for the first shots of the weekend. Did I mention that my laptop battery was at 20% and there was NO charging cord in the house? First stressful but triumphant moment. The render ended, was transferred to an external hd with 8% battery left. This one was by far my favorite to work on as it was the one that needed to look the most real. For the shot we had Chad holding TC’s real id and then I completely replaced it in post. 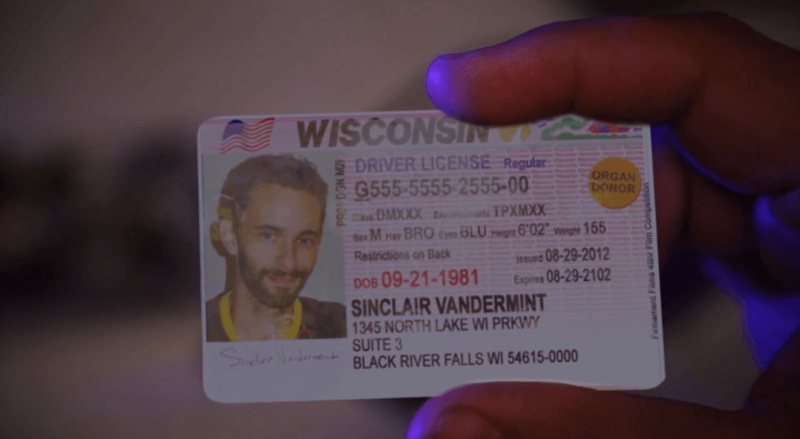 The template I used for the sfx graphic was the standard Wisconsin license that you can find on the state website. The Driver license # and address are directly from that template. I changed the rest of the information to match TC. A little easter egg I threw in there was the Expires date which is 89 years in the future. Talk about long-lasting fakes! Add a nice motion track and mask out the fingers and it looks real. Firmament initially asked us to do the credit sequence for the film. Before the first hour we worked out many more fx shots as well as more complicated credits. For the actor credit sequence we wanted to do slomo w/ 3d text. We used gopros to get the high frame rate footage (had to reverse fisheye most of it, blerg) and used video copilots Element 3D to create and animate the text. Due to time limitations all the 3d settings are turned waaaaay down so the letters turned out a bit cartooney. All in all we’re pretty happy about it. 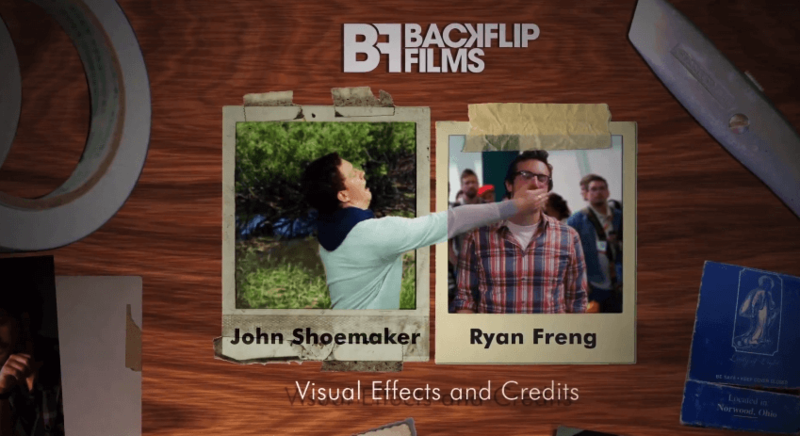 While John and I spent most of our time at the Backflip studio, including sleeping on the couches (me using a green screen as a blanket), Erin was hard at work running all over the set helping everything to run smoothly. We all had a huge blast and wanted to send a big thank you to our new friends over at Firmament Films. You can find their write-up of the project here, and watch the video below. Also check out the new behind the scenes! This entry was posted in Announcement, Behind the Scenes, Fun, Movies, Narrative & Creative, Tips. Bookmark the permalink.